Thanks to those guys for picking great prizes, I hope everyone enjoys them. And if you've won a contest but I haven't drawn your prize yet, never fear, I am working on them! They all look great Jeff! Good job Jeff and Kyle !!! Really cool, Jeff. How are the instruments coming along? Are the guitars going to be split up so that we can apply our own patterns or what have you on the face of the guitar? The guitars aren’t split up right now, but I am making them so that the patterns applied to them only go on the face part. Should be workable. It’s just too much effort to go through the same split-em-up process on these as I do for guns and swords. Awesome! I’m looking forward to this. Hey Jeff, I won the ‘West Coast avengers’ bracket in Fantasy, but cannot remember what my prize choices were…If any…And I can’t seem to locate the blog entry were you announced the winners. For some reason, my search-fu is weak today. Pretty good stuff. Looking forward to the other awards. Paul: No, I didn’t and do not plan to. 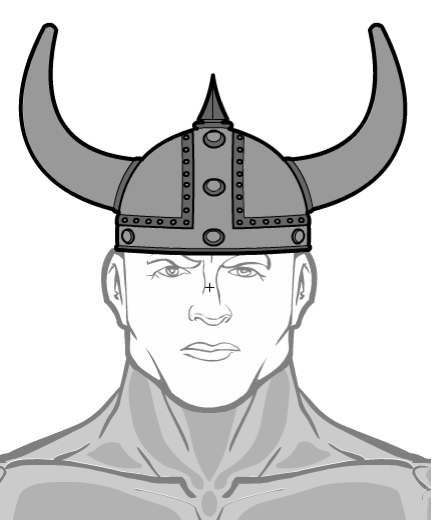 There’s already at least one basic skull cap, and there are multiple different horns you can stick on there. I wish their was an mk4 scorpion mask.